Strikeouts have always been part of baseball. It’s not easy to hit a round, hard ball that arrives in the strike zone at 90-plus mph as you swing a bat. In fact, it is the toughest thing to do in sports. Players mostly strike out when they have mental and/or mechanical flaws in their approach at the plate. They may get caught looking for the wrong pitch and get fooled. They may have bad timing and be out in front or behind a pitch. They may be lunging at the baseball. It could be some combination of all of those. Plus, sometimes hitters just swing and miss. Strikeouts happen. The game has definitely changed over the years. Last season, we saw the most strikeouts ever recorded in a season (41,207). We had more strikeouts than hits for the first time ever. The overall batting average was .248, which was seven points lower than 2017 and the lowest since 1972. The reason? Pitching is dominating hitting in this era. 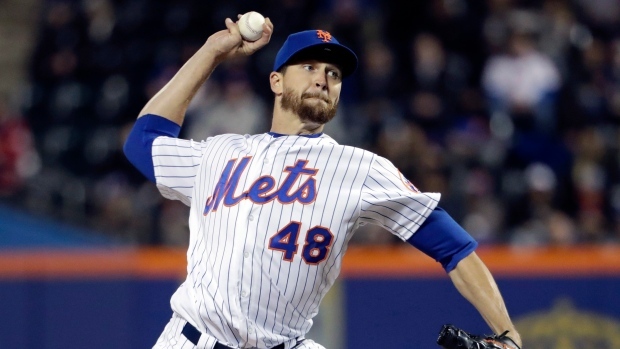 There are a number of reasons for the increase in strikeouts and falling batting averages. Firstly, pitchers throw harder now than ever before. The average fastball has increased in speed by about three mph over the past 10 years. Secondly, hitters focus on launch angle now more than ever, believing there are more runs to be produced when hitting fly balls instead of grounders. I’m a big believer that hitters remain fairly similar as they work their way from the minors to the majors. Contact hitters stay contact hitters. Hitters vulnerable to strikeouts in the minor leagues tend to punch out a lot at the major-league level. Pitch recognition and plate discipline are tools that hitters either have or don’t have, for the most part. They can certainly improve a bit, but usually players who have the ability to recognize a fastball from a curveball and a ball from a strike bring it with them into professional baseball. Hitters who don’t have that “good eye” at the plate tend not to all of a sudden develop the skill. Good hitters can become power hitters. But power hitters don’t necessarily become good hitters. One of the first stats I look at for young hitters is base on balls. If they walk a lot, then they see the ball better and have a better chance to develop into good hitters. Walks take away from outs more than they take away from hits. You will know when a player has figured something out at the plate when his walks and home runs increase. That means he is seeing the ball well and can recognize the pitches. Hitters who walk a lot find themselves in more 1-0, 2-0, 2-1, 3-1 counts where they can look for a pitch to drive the ball. That’s where home runs increase. The Toronto Blue Jays have been striking out at an alarming clip so far in 2019. They have the third-most strikeouts per game. Some of those strikeouts are due to some of the changes in the pitching and hitting approach mentioned above, but not all of them. The Blue Jays don’t have many hitters that are blessed with the great pitch-recognition ability. They didn’t show it in the minor leagues and they don’t have it at the major-league level. The Jays are hoping to build a championship team and the front office has to project who among their hitters can be part of that plan. It’s not fair to make definitive evaluations off of just the early season numbers. Rather, studying what each individual hitter’s career has shown coupled with this season’s performance provides a more accurate read. My evaluation of the current Jays roster is that they have very few impact offensive players. I don’t see any top-flight leadoff hitters with great on-base percentage on Toronto’s roster. I don’t see any playoff-calibre No. 3, No. 4 or No. 5 hitters. They have hitters with some good traits but none possess middle-of-the-lineup talent. Lourdes Gurriel Jr. and Brandon Drury could develop into No. 2 hitters but may more likely fit as No. 7 hitters in a lineup. Danny Jansen, Teoscar Hernandez, Billy McKinney and Randal Grichuk are possibly No. 6 or No.7 hitters in a good lineup as they have some pop but lack the on-base percentage and consistency that the middle of the order demands. Rowdy Tellez has a pretty good approach at the plate but seems more like a No. 6 hitter as he doesn’t have impact power that fits the first base profile. Richard Urena is a No. 8 or No. 9 hitter as a utility player. The Jays’ future centrepiece bats aren’t in the major leagues yet. Vladimir Guerrero Jr. and Bo Bichette will be No. 3 and No. 4 hitters on a championship-calibre team. The current roster is, at best, the supporting cast for those two future stars. Time for a little patience. While the Jays rebuild, the Boston Red Sox are hoping to defend their World Series title. 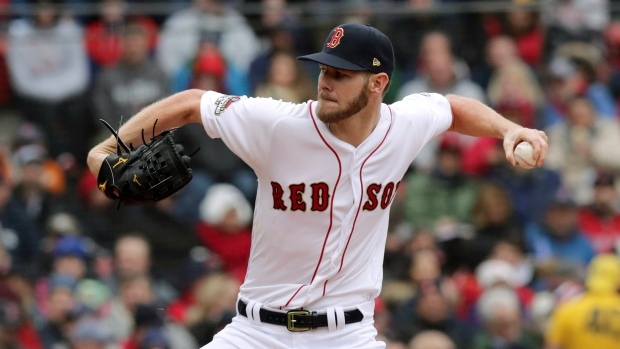 If Boston has any chance of repeating, they will need their ace Chris Sale to be healthy and dominant. He appears to be neither so far this season. Sale is 0-3 with a 9.00 ERA in his three starts. His fastball velocity has ranged from 89 to 92 mph which is down from his average heater of 95.2 mph in 2018. The lack of velocity has led to lack of success. The opposition is hitting .308/.367/.596 against Sale so far this season, compared to .181/.243/.288 last year. He normally has a dominating fastball, sweeping slider and deceptive changeup. He struck out 237 batters in 158 innings pitched in 2018, but only has eight punch outs in 13 innings this season. He doesn’t look healthy. How about this startling statistic: Sale has thrown 88 fastballs in his three starts and has only gotten ONE swing and miss. He had a 29.8 per cent whiff rate on his fastball last year. That means he should have already gotten 26 swings and misses this year. My experience with this sort of diminished performance is that it is almost always health related. Whether Sale has pain in his shoulder this year like he had last August and September is unclear. But there is clearly something wrong with his arm. Trying to pitch through the struggles would be a mistake. He clearly has weakness, even if he doesn’t have pain. The Red Sox need to shut him down and get to the bottom of the problem. There is no shame in pulling back and protecting him. The Red Sox season depends upon a healthy Sale. They can afford having him miss a few starts but they can’t afford having him gone for two months. The Red Sox just extended his contract for five more years beyond this season, guaranteeing him $145 million. That is reason enough to back him off and let him regroup as a healthy pitcher. 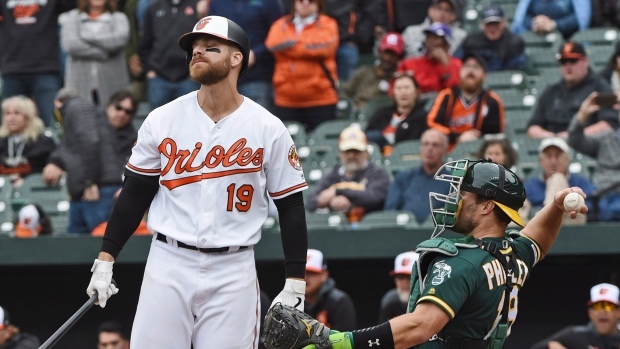 My heart breaks for Baltimore Orioles first baseman/designated hitter Chris Davis, who’s currently in the midst of a 0-for-53 hitless slump. His record hitless streak started last September as he finished the 2018 season 0-21 and has continued his futility this season. He’s making $23 million this season and has three remaining seasons on his seven-year, $161 million deal. Davis hit .168/.243/.296 in 2018 while striking out 192 times in 470 at-bats. He was arguably the worst hitter in baseball last season and it’s hard to debate it so far this season. He tries hard but he has so many mechanical flaws in his swing that he rarely makes contact with the ball. Davis has such an uppercut that his bat is rarely in the same plane as the ball. The means the bat and ball have a singular point of contact where their paths intersect. So, Davis needs perfect timing to have his bat meet the ball as it moves through the zone. His bat path has no margin for error. The Orioles are rebuilding. They aren’t going to win for several years. It is time to put Davis, Orioles fans and the team’s ownership out of their misery. Just release him. It isn’t going to get better. He won’t come back to haunt them. - With Guerrero Jr. in Triple-A Buffalo now, it is just a matter of time before he’s in the majors. He will have to show that he’s fully healthy and able to stay that way during his time with the Bisons. The Jays are going to want to see him show improvement on defence at third base as well as a strong foundation at the plate. Guerrero wasn’t catching up to inside fastballs in the spring. The front office is hoping the core work he did while rehabbing his oblique injury will make him better able to handle the inside heater. He got off to a strong start Thursday night, hitting a double and a homer while going 2-for-4 with four RBIs in his first game above Class A this season. - The Seattle Mariners have hit home runs in each of their first 15 games of the season, breaking the MLB record set by the Cleveland Indians in 2002. Seattle has hit 36 homers, tying the 2000 Cardinals for the most in the first 15 games of the season. They have scored six or more runs in 13 of their first 15 games and lead baseball in runs scored. All of this adds up to a 13-2 record to start the year. Only one other American League team since 1988 has started out the year at 13-2 – last year’s Red Sox, who went 17-2 to start the season. And we all remember that led to a World Series championship. But this successful start won’t last for Seattle. Their offence has been covering up a below-average bullpen and a terrible defence (21 errors, the worst in MLB). At some point the offence will cool off and their defects will cost them games. The Houston Astros will win the AL West by 10 games. - The Tampa Bay Rays have scored 17 first-inning runs in their first 13 games this season. The early leads have taken pressure off the pitchers, allowing them to be aggressive. The pitching staff leads all of baseball with a 1.98 ERA. The Rays are for real. They are good in every component of the game. The Red Sox and New York Yankees better keep the Rays in their sightlines or they might just surprise everyone and steal the division title. - The Washington Nationals are going to be just fine without Bryce Harper. Outfielders Juan Soto, 20, and Victor Robles, 21, are both going to be superstars. They have .888 and 1.039 OPS respectively and have combined for five homers, 16 RBI and 20 runs scored. Together, they make just over $1 million this season. Harper (13 years, $330 million) will be a good player in Philadelphia but the game goes on in DC, and quite well. Soto and Robles are both big-time run producers who hit for average, have a great OBP, slug the ball all over the field and play athletic defence. - Kansas City Royals second baseman Whit Merrifield hit in every game so far this season until Thursday’s 7-6 loss (10 innings) to the Mariners. He went 0-6 on Thursday, ending a 31-game hitting streak which set a Royals franchise record by passing Hall of Famer George Brett’s (30 games) streak a day earlier. There are some who question whether the streak should count at all since it combined his performance over two seasons. I believe it absolutely should. In fact, I agree with Merrifield who said what he was doing is more difficult since he has had to try and carry over his intensity and approach for an entire off-season. I also agree with Brett, who said that Merrifield’s run was more impressive because he was doing it in the cold weather, while his own streak was accomplished during the heat of summer. Either way, it is pretty darn amazing.